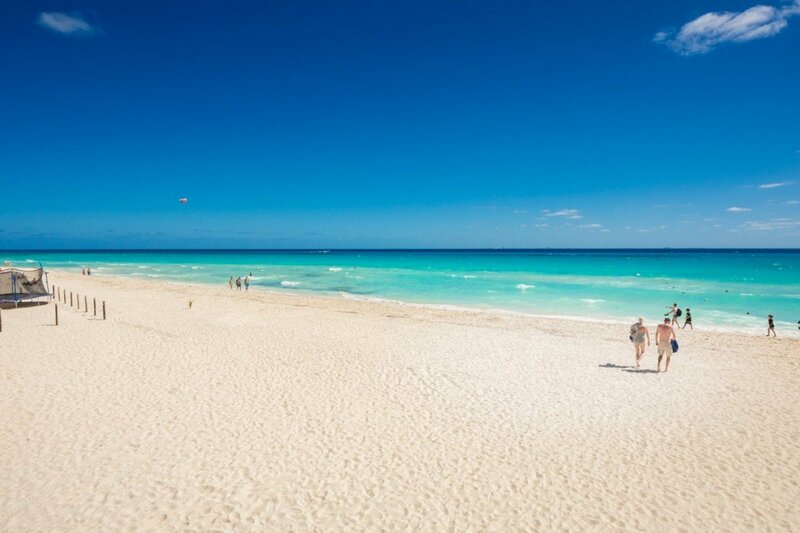 The Mayan Riviera region of Mexico is very special and was chosen by the government because of its stunning beauty, historic sites, and amazing natural features. It is often listed as one of the best places in the world for diving and snorkeling, and the island of Cozumel is frequently noted as a real hotspot. 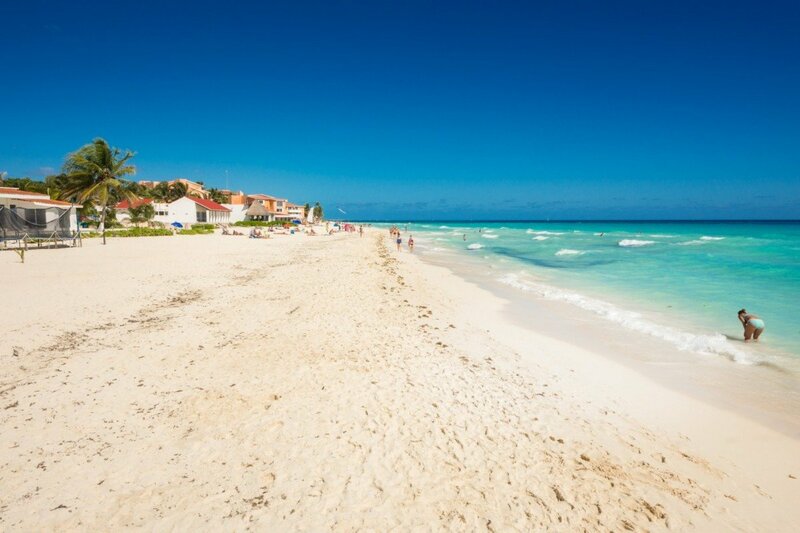 This island sits just offshore from the charming city of Playa del Carmen, which is also where the stunning Villa Quinta Clara is found. 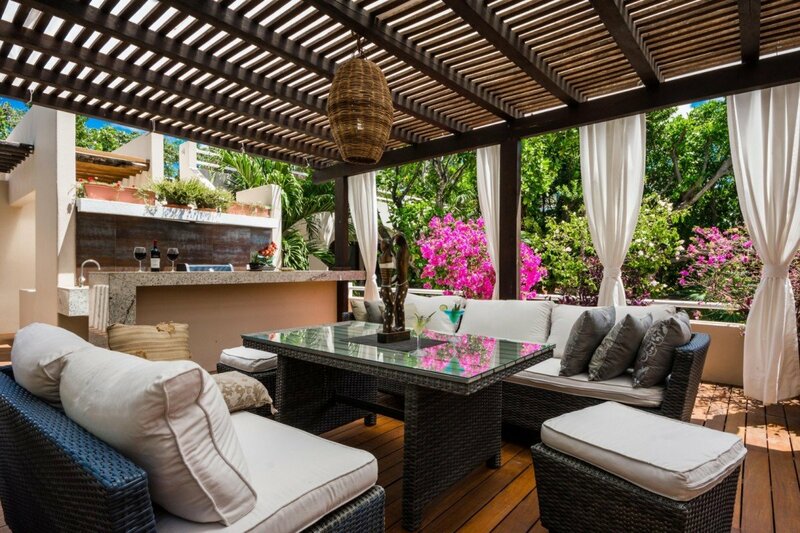 Part of the upscale and luxurious Playacar community, this large, seven-bedroom property is both convenient and private. 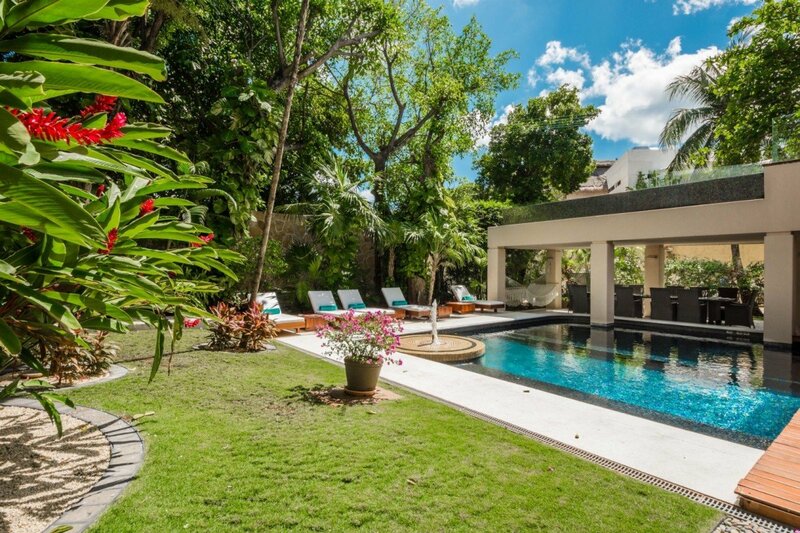 It is just a short walk to the shops and restaurants that have made the city so popular with world travelers, and is also moments from the white sands and Caribbean waters nearby. 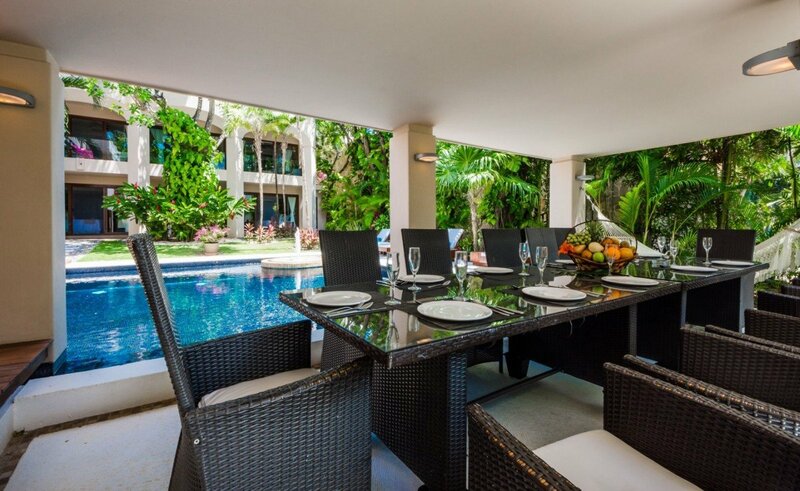 However, it is so replete with amenities, you may find it hard to leave the villa! 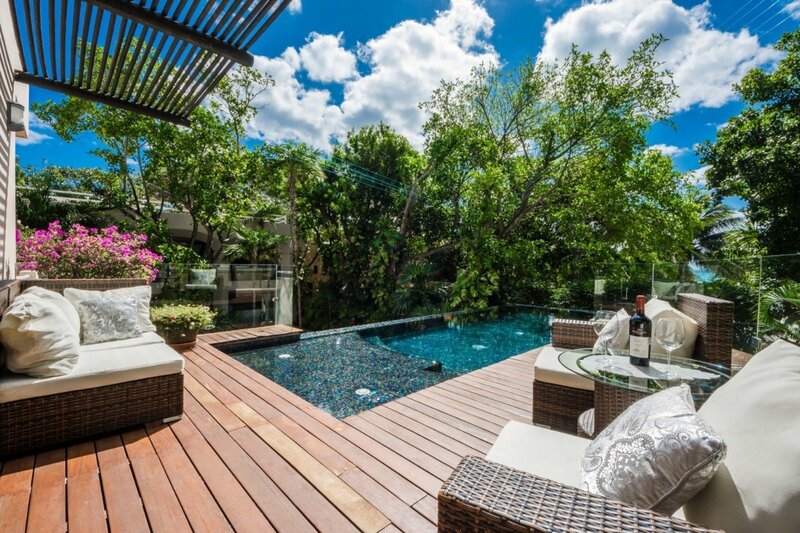 It has been designed to incorporate a large and stunning central courtyard. 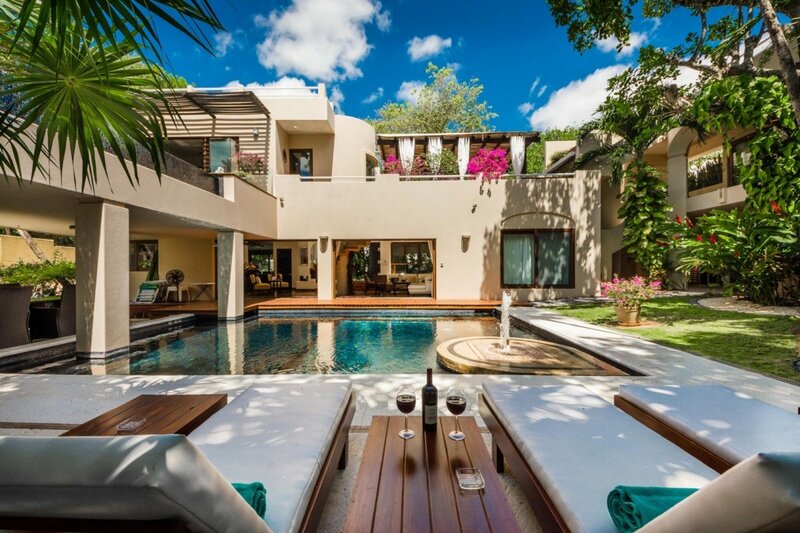 Here, outdoor living spaces include the large swimming pool, manicured garden, and many lounging and dining areas. 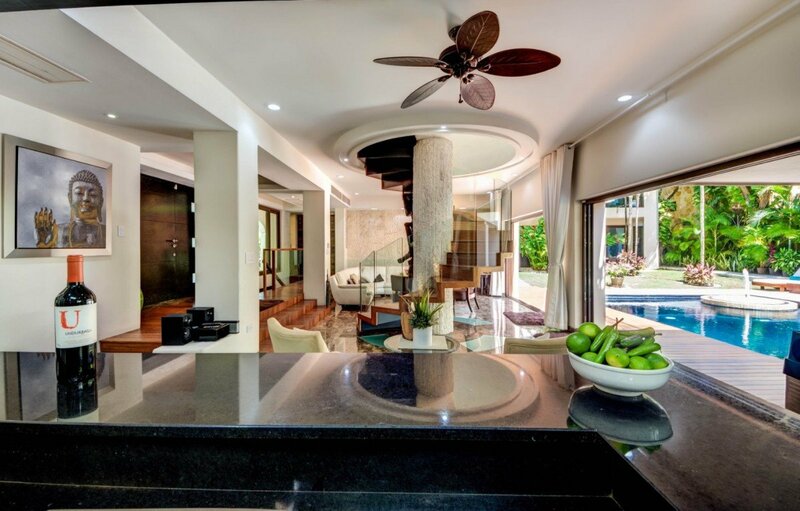 Inside the villa, guests enjoy an equally stunning array of shared living spaces that feature a media room for entertainment, a living room for hours of relaxation, and a gourmet kitchen and dining spot. 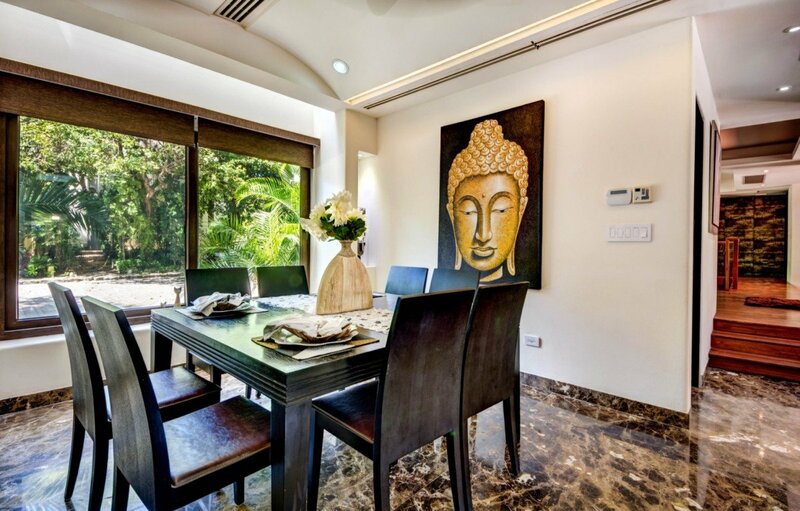 The seven bedrooms are also a good fit to the rest of the property, equipped with many luxuries and amenities. 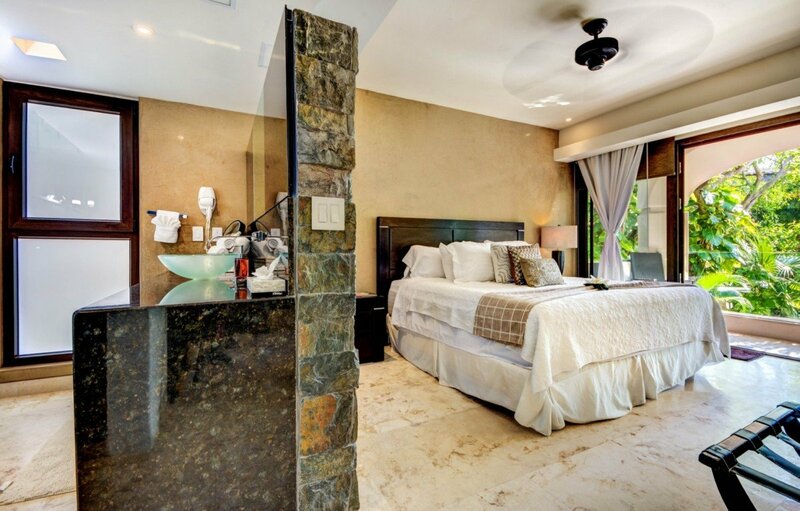 They are divided between the ground and second floor, and the master suite is a true show stopper. 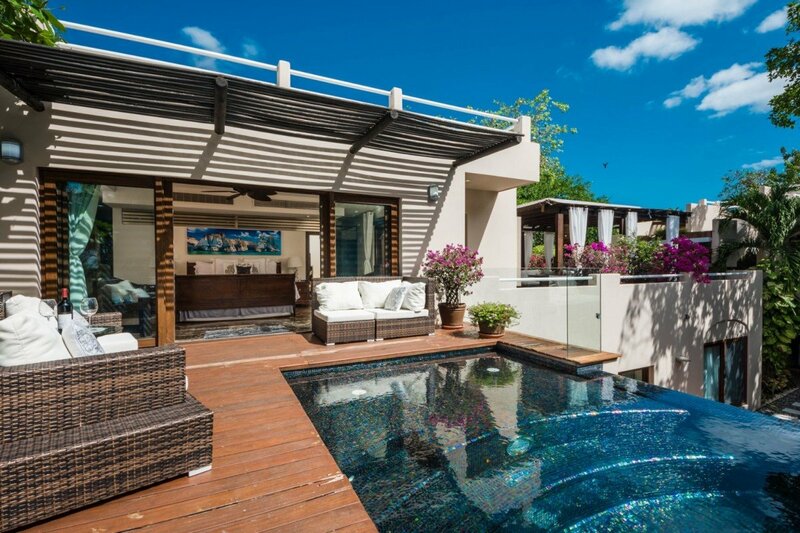 It is a second floor suite that offers up a private terrace and infinity pool. 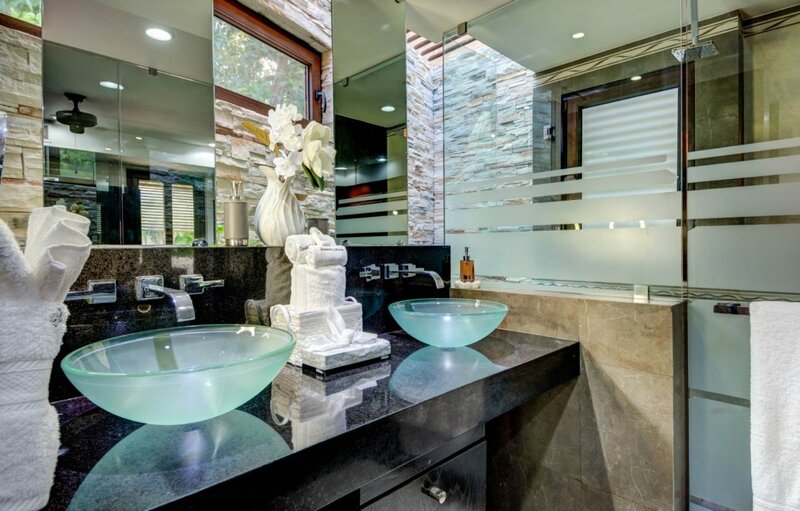 It has a private entrance as well, and a large ensuite bath. 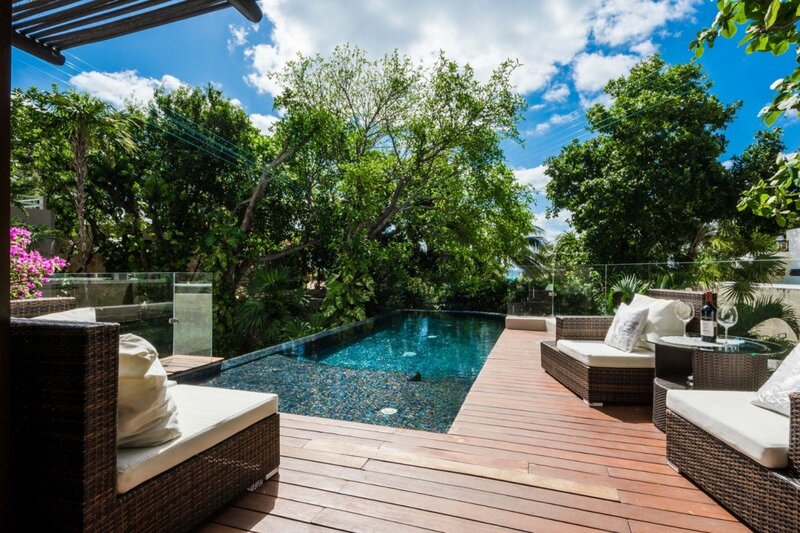 The other second floor bedrooms have views to the garden, private entrances and ensuite baths. 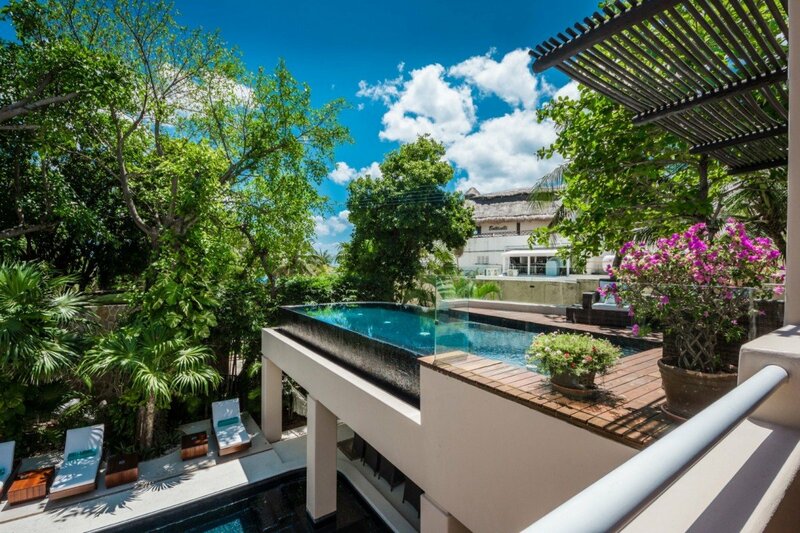 The ground floor suites open to the garden and also have large ensuite baths. 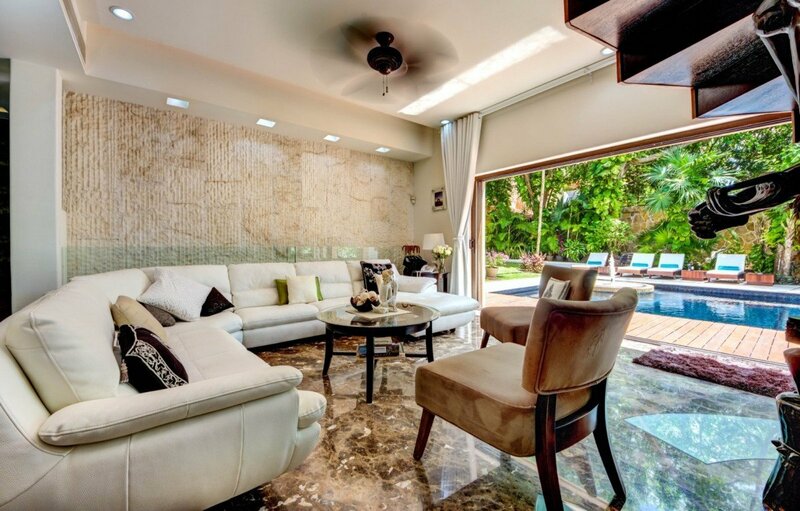 Whether you are traveling with family, a large group of friends, or looking for a spot for a small event, the Villa Quinta Clara is an ideal choice. 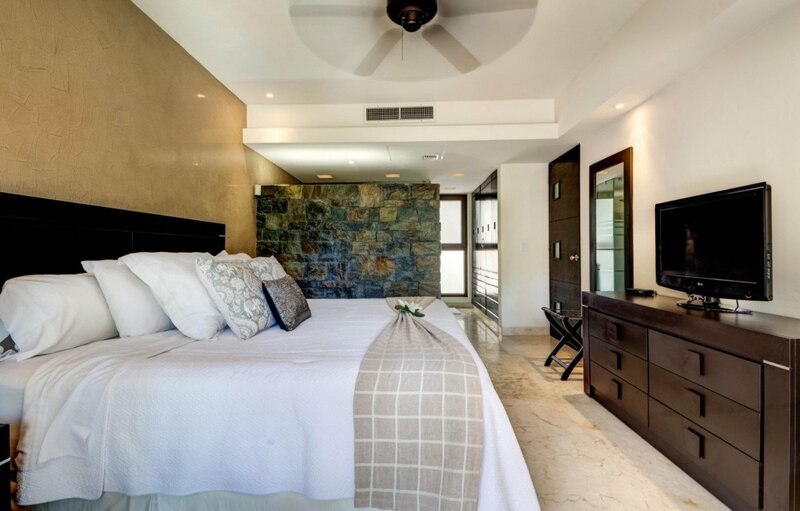 Bedroom 1: Second floor bedroom with a king-size bed, A/C, ceiling fan, flat screen TV, ocean views, private terrace, private infinity pool, independent entrance, walk-in closet and en-suite bathroom with shower, vanity and WC. 2 guests maximum. 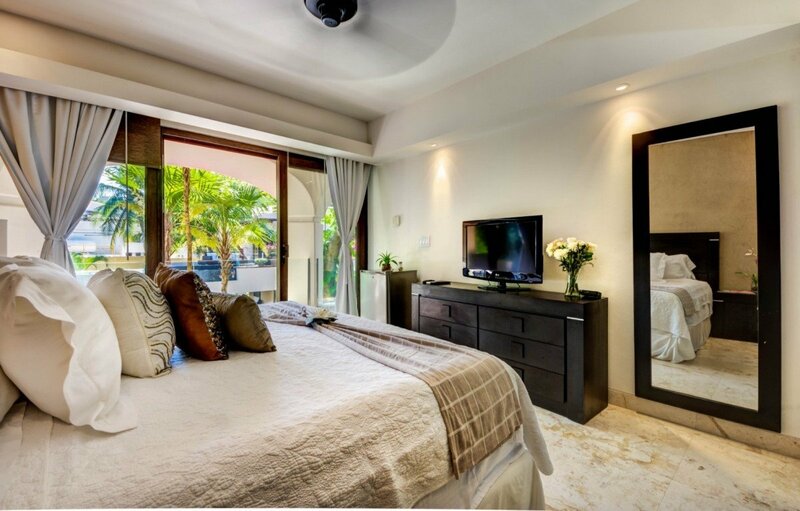 Bedroom 2 & 3: Ground floor bedrooms with a king-size bed, A/C, ceiling fan, garden view, independent entrance, safe, satellite TV, phone and en-suite bathroom with shower, vanity and WC. 2 guests maximum. Bedroom 4: Ground floor bedroom with a king-size bed, A/C, ceiling fan, garden view, independent entrance, satellite TV, phone and en-suite bathroom with shower, vanity and WC. 2 guests maximum. 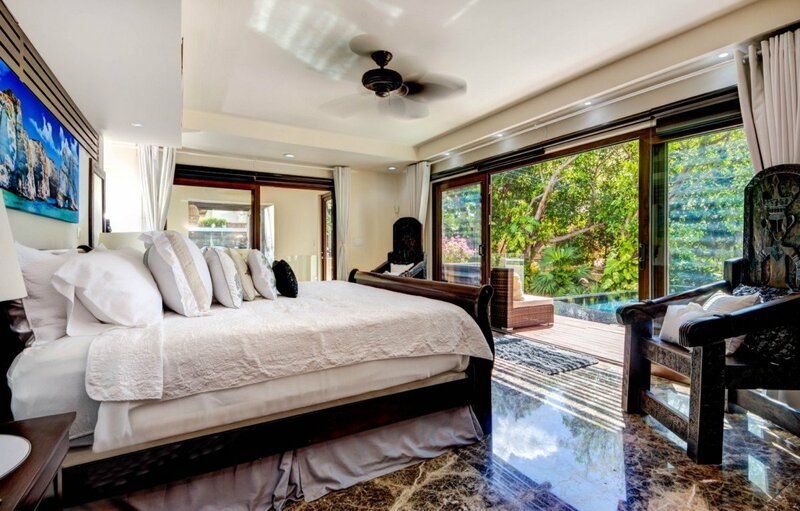 Bedroom 5 - 7: Second floor bedrooms with a king-size bed, A/C, ceiling fan, garden view, independent entrance, satellite TV, phone, connecting door between bedroom 6 and 7 and en-suite bathroom with shower, vanity and WC. 2 guests maximum. All around first class! Terrific support throughout the process. The onsite staff made it easy to relax and enjoy the beautiful venue. 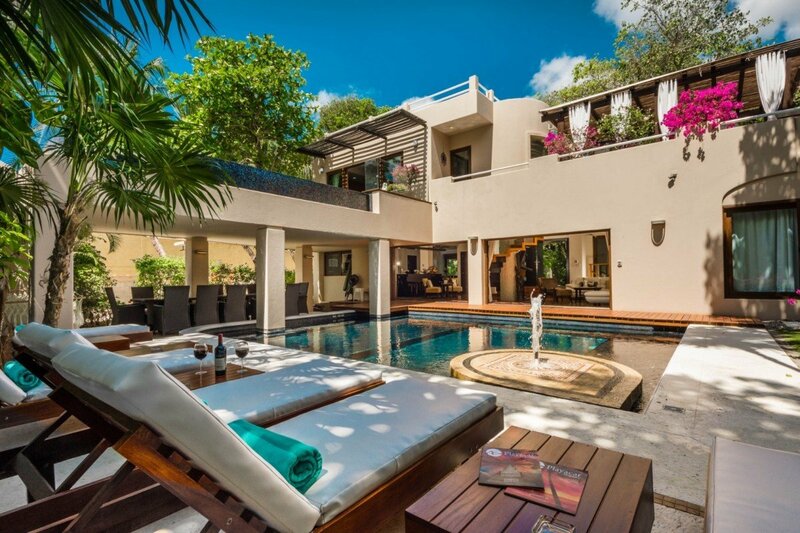 The villa layout makes it easy to enjoy the pool and common areas, while at the same time, it allows for quiet time. 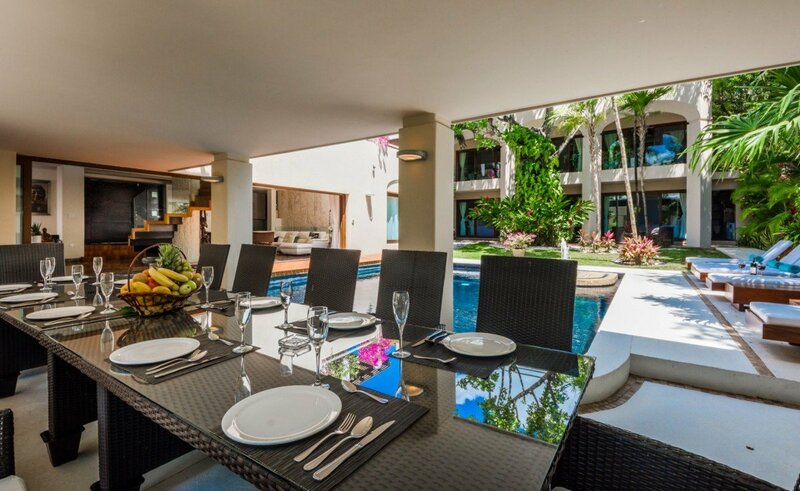 Proximity to the beach is outstanding and the beach gear provided by the Villa makes it an easy and fun family outing. We were fortunate enough to stay here on a girls' trip over President's Day weekend. The house and rooms are absolutely beautiful, and within walking distance of the restaurants/shopping on 5th street. 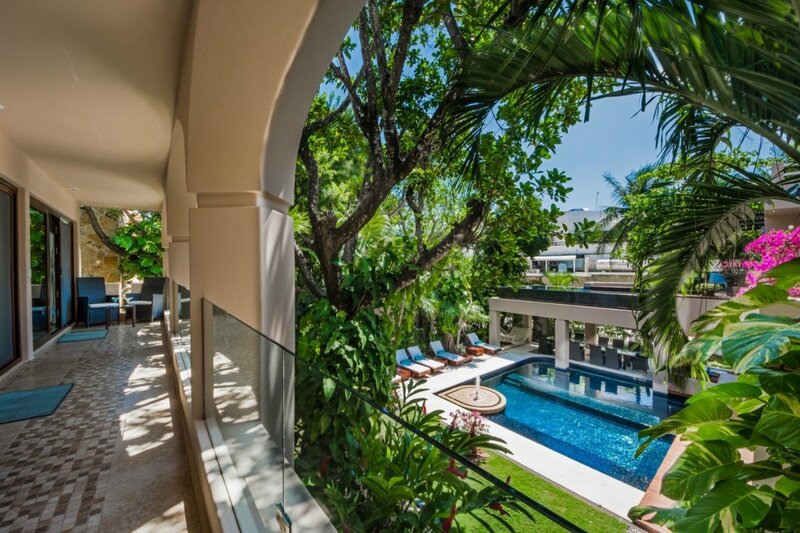 The home is steps away from one of the most beautiful beachfront I've ever seen. I am counting down the days until I can visit again! 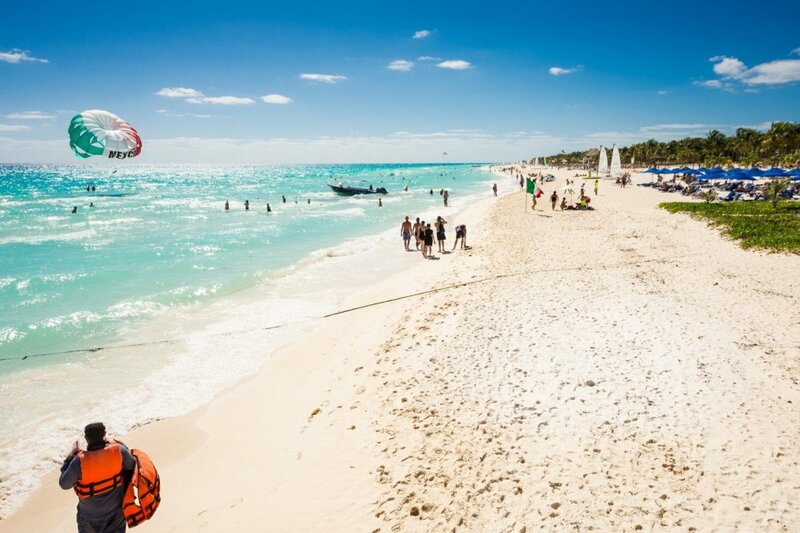 Twelve family members made the trip to Playa del Carmen this July...we knew that Uncle Dave had arranged an outstanding trip...but had no idea that it would exceed our expectations by so much. 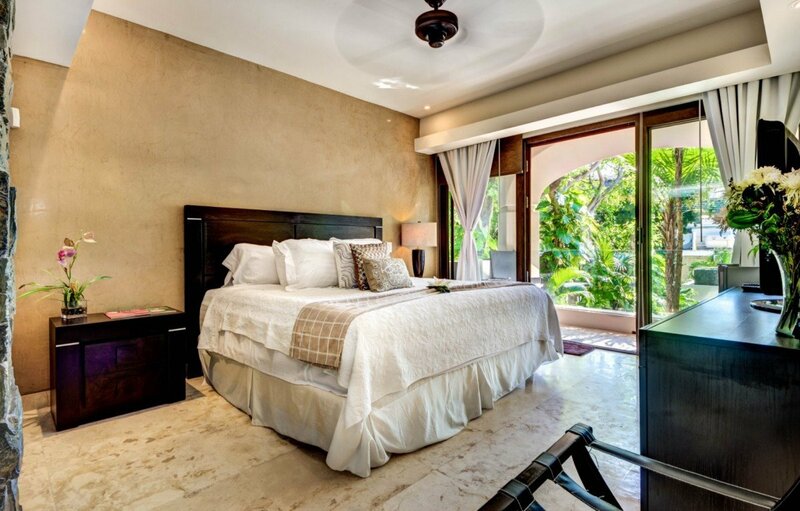 Beautiful master suite on one wing and six full sized bedrooms on two floors on another wing. 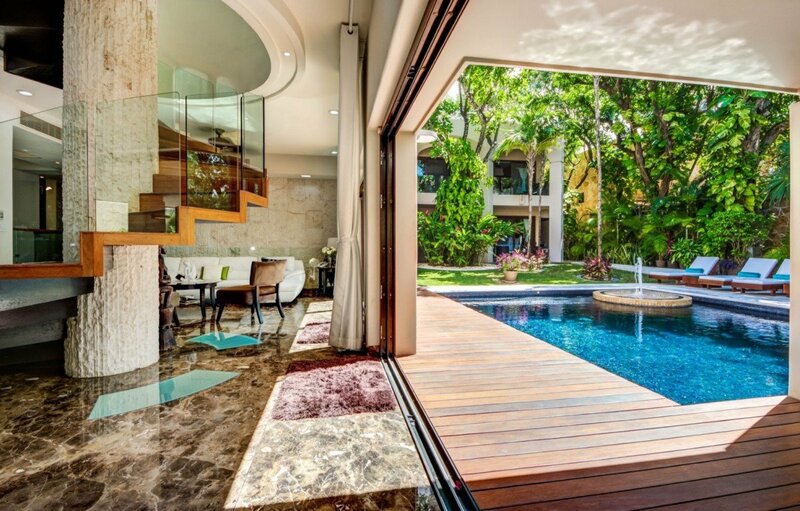 Two pools, one off the master suite up stairs and another larger pool in the court yard. From media room there is a picture window view into the pool...lots of fun. 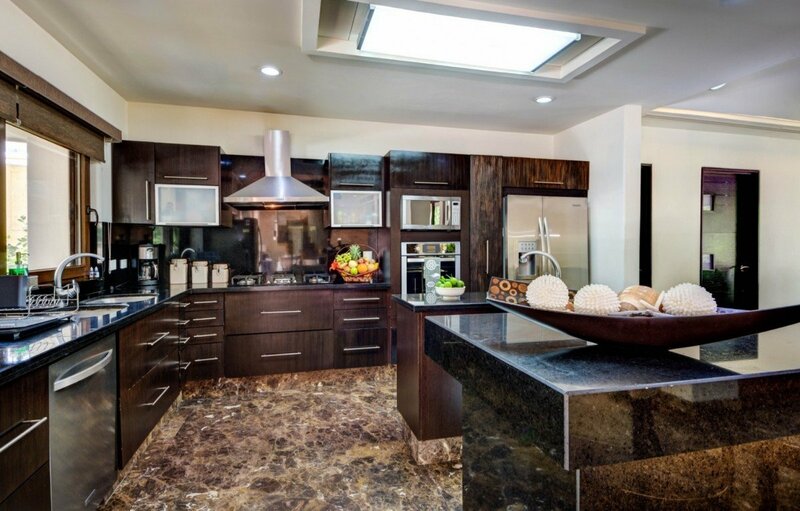 Kitchen has two refrigerators and a six burner gas range. Chef prepared a banquet on our first night and it was outstanding. 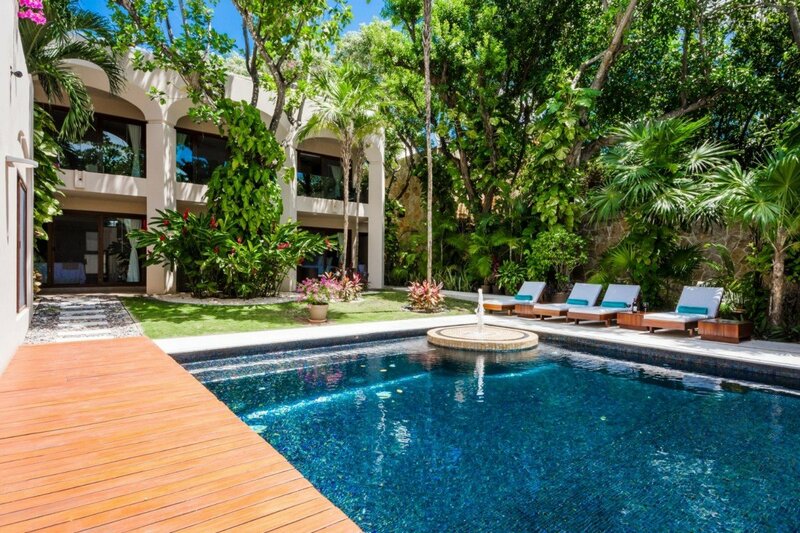 This Villa is about one block off of the beach and an easy walk to enjoy the water and white sands. 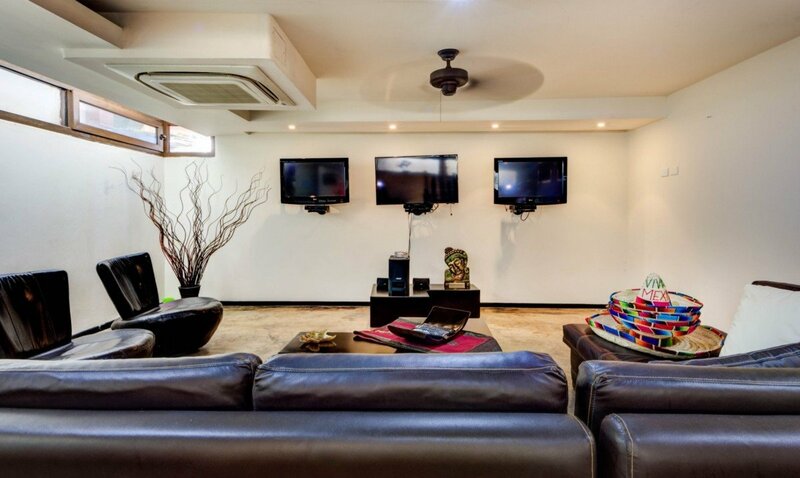 Several large seating areas in the main family room and also in the media room...what an outstanding property!! Idea for several couples or a large family group. Enjoy! 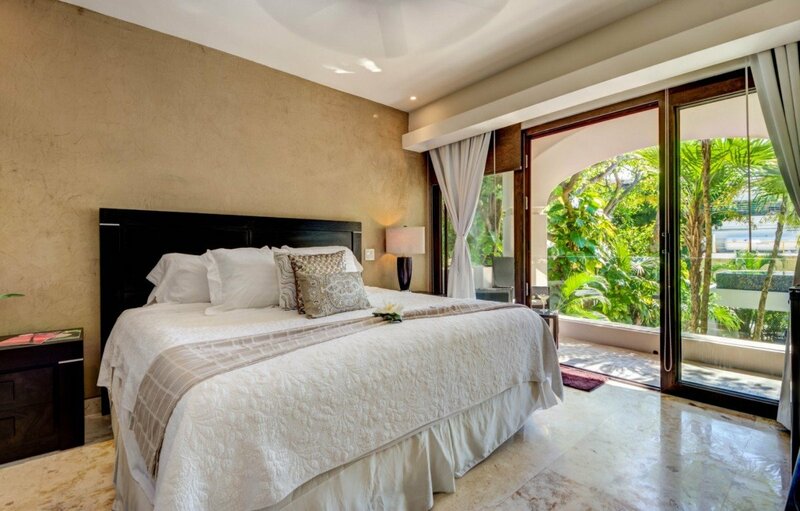 Neslted in a private gated community and dotted with Mayan ruins and lush trees, welcome to Quinta Clara. Your escape includes a house team that taps into every gastronomical sense from fresh squeezed fruit juice (watermelon and pineapple) to homemade quesadillas and hotcakes and everything in between. 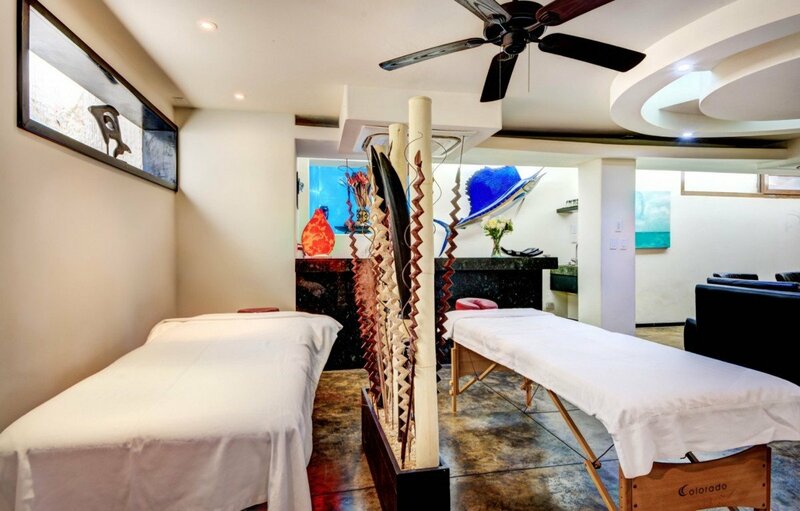 The management team is committed to elevating your stay to the highest level providing guests access to upscale shopping, entertainment, in house massages, day trips to neighboring islands and unlimited pampering. 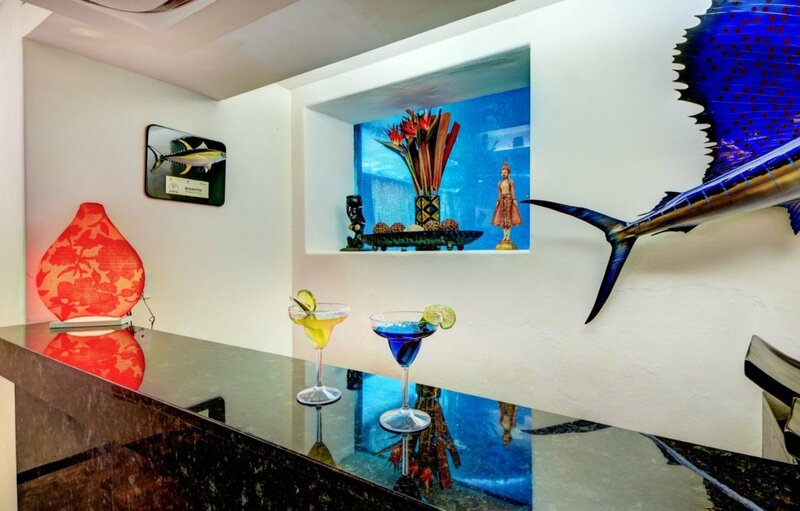 The media room rests in a former cave and boasts incredible underwater views of the pristine blue mosaic pool. 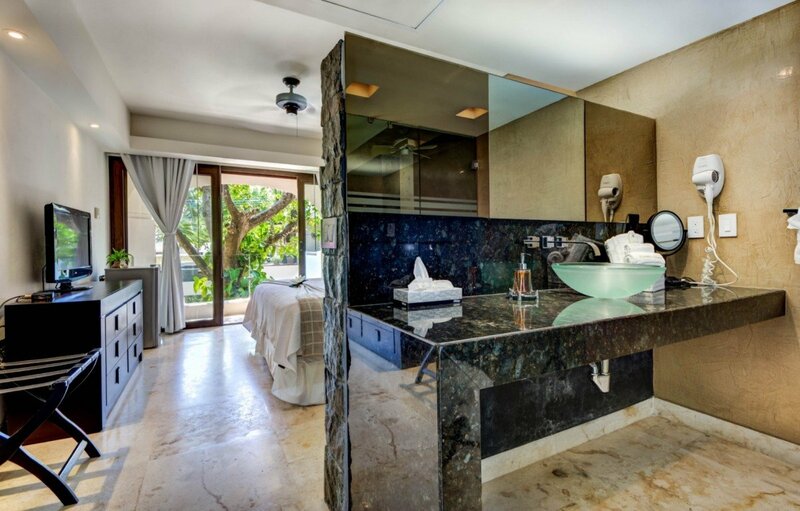 Each villa is impeccably designed ensuite with individual air con controls, ceiling fans and lush bath products. Excursions were arranged and executed with ease and transportation was seamless. 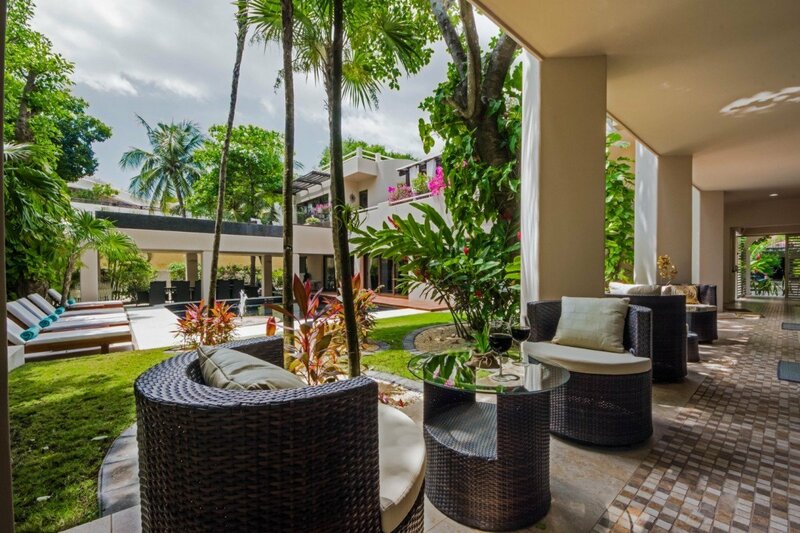 You’ll consider intentionally missing your flight after your luxurious and tranquil stay at Quinta Clara.